Register Log In ECN Forum Forums Photos for General Discussion Your Thoughts on This? Saw this on a bid walk thru. 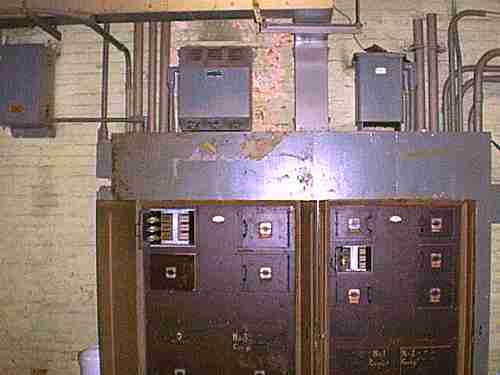 No lites in this old boiler room. 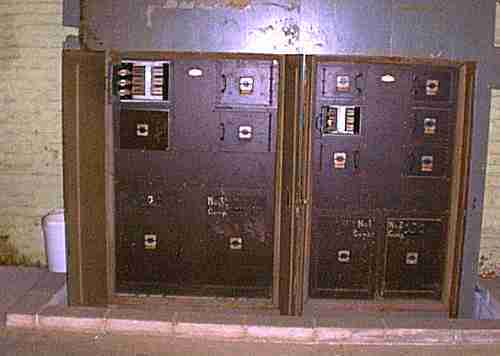 Buss feeds 480v 3 phase either 2000 or 4000 amp 1923 frank adams bucket panel. The local inspectors are discussing this with the owner - but since the building is under a sales negotiation and is currently unoccupied - results will be delayed. It is a very good example of the term "existing"
Run screaming to the truck, slam the door and throw gravel as I speed out of the parking lot? We replaced a service that looked exactly like this about four years ago for Central Community College, Hastings, NE. The building was originally constructed as part of a WWII ammunition depot. These building were built from start to finish in something like 30 days! The service wasn't even the worst part! 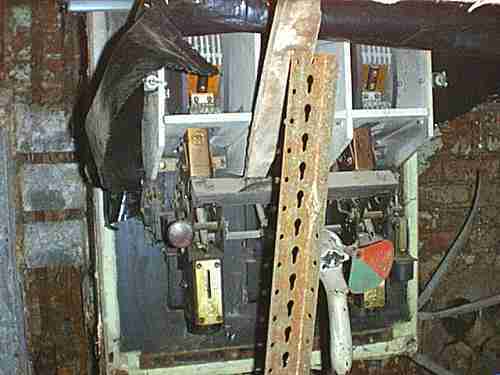 The building was basically wired with four 100A feeders that ran the length of the attic. Wherever they needed some power they just tapped the 100A feeder. Without any OL protection. When the remodel was completed they had a new I-line service and subs. 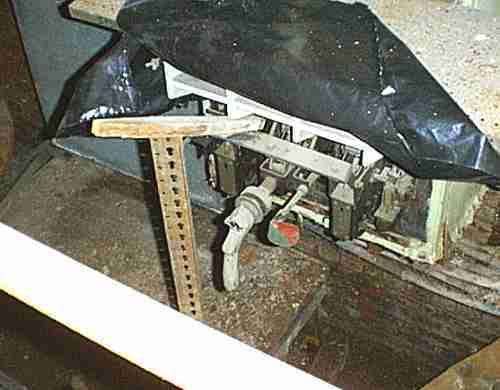 All the illegal taps were removed although I think that we left one of the 100A feeders for a sub. i take it no stray ammo was found? I hope you will be able to make a profit! i am no longer going to do a new tenant finish tenant is broke. Definitely not a workmanship type manner. I saw one that looked like this, but was smaller (1200A), and was in mint shape. Pretty neat, really. This one sure isn't, though. You are fortunate to have an inspector to condemn this piece of explosive junk. Some of the guys here on the BB have to fight this kind of stuff all on their own, without any backing Whew, must be tough!